This paper is based on a series of studies conducted by the author on the settlement problems, work roles and educational experiments among nomadic Fulani in Plateau, Bauchi and Kaduna States, Nigeria, from 1982 to 1984.The first part of this paper describes the land tenure system in northern Nigeria and the way in which it affects pastoral nomads and plans for their settlement. The second part discusses the Nigerian Government;s intention to educate nomads and gives the example of special schemes which have attempted to do this. The paper concludes by stressing the importance of improving land tenure arrangements for nomadic pastoralists so as to facilitate the provision of a continuous educational programme for them. The Pastoral Development Network represents a world-wide network of researchers, administrators and extension personnel interested in the issues of pastoralism and rangelands. Between 1976 and 1996 the PDN was managed by ODI and published regular mailings including newsletters and a wide ranging series of papers on pastoralism and related issues. There were also a number of other related publications. 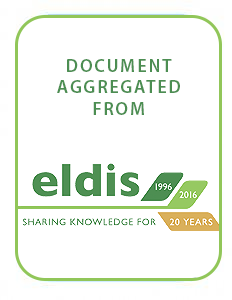 Eldis is an online information service providing free access to relevant, up-to-date and diverse research on international development issues. The database includes over 40,000 summaries and provides free links to full-text research and policy documents from over 8,000 publishers. Each document is selected by members of our editorial team.